Conservation groups in Indonesia’s Aceh province have appealed a November 2016 ruling by a court in the country’s capital, which dismissed a case seeking to ensure the protected status of one of the world’s most fragile and biodiverse environments, home to the critically endangered Sumatran orangutan (Pongo abelii). The case, brought to the Central Jakarta District Court by a group of nine citizens, had sought to force the Aceh government to safeguard the 8,500-square-mile Leuser Ecosystem within a land-use plan intended to bring economic growth to the province, situated on the country’s largest island, Sumatra. “We pushed the lawsuit because the provincial government is seeking to dismantle the ecosystem’s protection status by refusing to acknowledge its existence in the spatial plan,” says Farwiza Farhan, one of the plaintiffs and chair of the organization Forest, Nature and Environment of Aceh (HAkA). 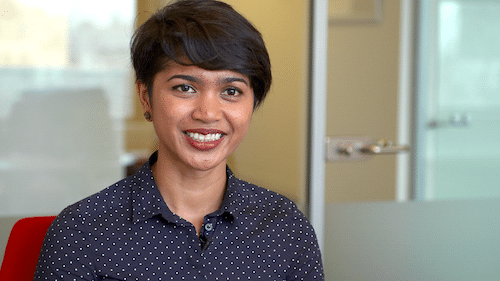 An intrepid conservationist who received the 2016 Whitley Award for Conservation, Farhan awoke to the destruction of the ecosystem as a child, when she saw the Indonesian coral reef dying before her eyes. Since earning a degree in marine biology, she has mobilized communities on land to defend this rainforest against logging, mining, and other threats. The ecosystem spans two provinces in Sumatra, Aceh and North Sumatra, and is among the world’s last remaining intact rainforests, where one of the world’s two species of orangutan roams freely alongside critically endangered Sumatran elephants, tigers, and rhinoceroses. At stake is whether Aceh province—which has struggled to develop trade and commerce since its 30-year struggle for independence ended in 2005—has the legal autonomy to override national laws that protect important conservation areas from development. The effort to clarify Leuser’s legal status began in 2013, when the Aceh government released a regional development plan that failed even to mention the fragile ecosystem, which is safeguarded by national government regulations, according to Farhan. Ongoing deforestation of the ecosystem, which stretches across nearly half of Aceh’s 21,000 square-mile land mass, is removing a key defense against natural disasters, according to Global Forest Watch. The area lost 560 square miles of tree cover from 2001 to 2014. 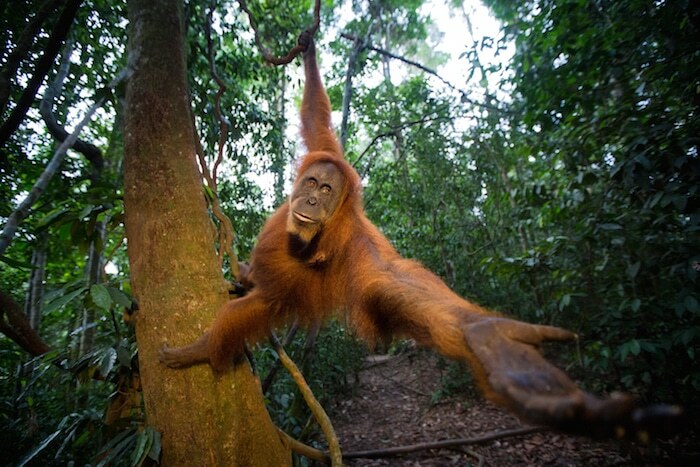 One of its essential residents, and a bellwether species, is the predominantly tree-living orangutan, which subsists largely on fruit and is slow to reproduce. Its decimation is considered a loss to humanity and the planet. Whereas the Sumatran orangutan’s range once extended south into Java, today the Leuser Ecosystem is this population’s last bulwark against extinction. Its population has declined by more than 80 percent over the last 75 years due to deforestation, poaching, export to the zoo and pet trade, and killing. Between 6,000 and 7,000 survive. The Leuser Ecosystem, comprising protected forest and nature reserves, industrial forestland, numerous villages, and the Gunung Leuser National Park (part of a larger UNESCO World Heritage site), is considered an environmentally strategic area, covered by multilayered laws limiting or forbidding development. However, illegal palm oil cultivation and mining are widespread, in some cases with government-issued permits. Some 30 companies were operating illegally inside the ecosystem in 2014, according to the Rainforest Action Network. The lack of legal clarity over Leuser causes problems for law-enforcement officials and investors alike, she says. Companies may be told that they can build a plantation, and then communities or local governments sue them and they have to halt operations. Since 2014, Indonesian President Joko Widodo has made some efforts to reduce illegal forest activity, such as rejecting 61 palm-oil applications, bringing those implicated in slash-and-burn forest fires to court, and prohibiting peatland conversion for industrial agriculture. While Farhan and her partners await a decision on their appeal, expected during the summer of 2017, proposals by the provincial government are under way to build three major roads cutting through the east wing of the ecosystem. The multiyear process to bring her case to court united citizen groups and community leaders and attracted international supporters, including the actor Leonardo DiCaprio, who featured Indonesian deforestation in his film on climate change, Before the Flood. “We continue to be optimistic,” Farhan says. “Although we lost in court, we won hearts and minds in the process. I’m stubborn and refuse to accept that…the forest and species like the orangutan could disappear just like that,” she says.